The PK088 features self-weighing scales on the 28" & 24" sizes. 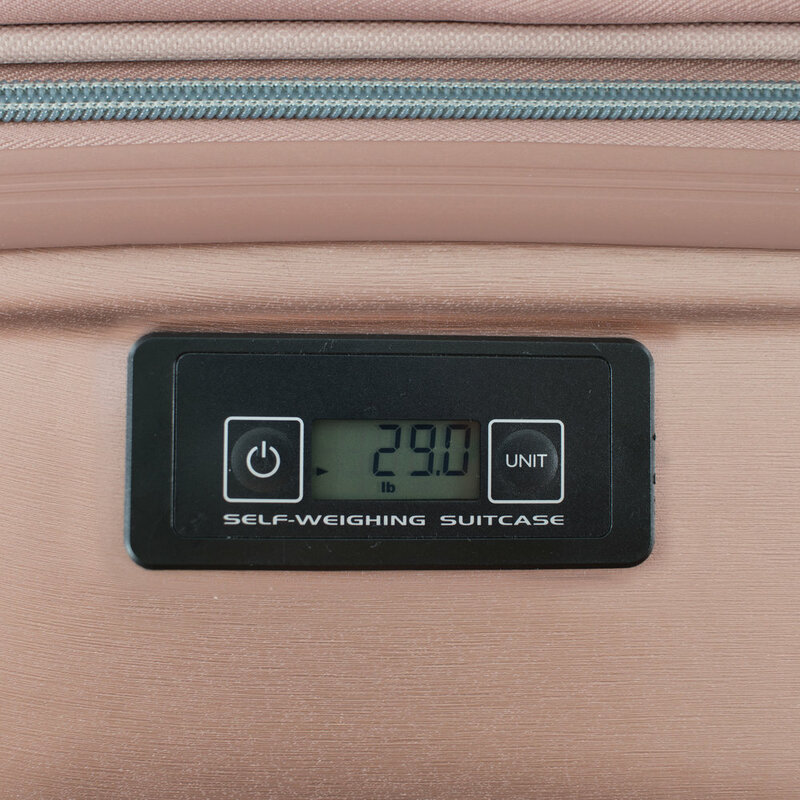 Simply turn the luggage onto its side and the scale will provide weight measurements. 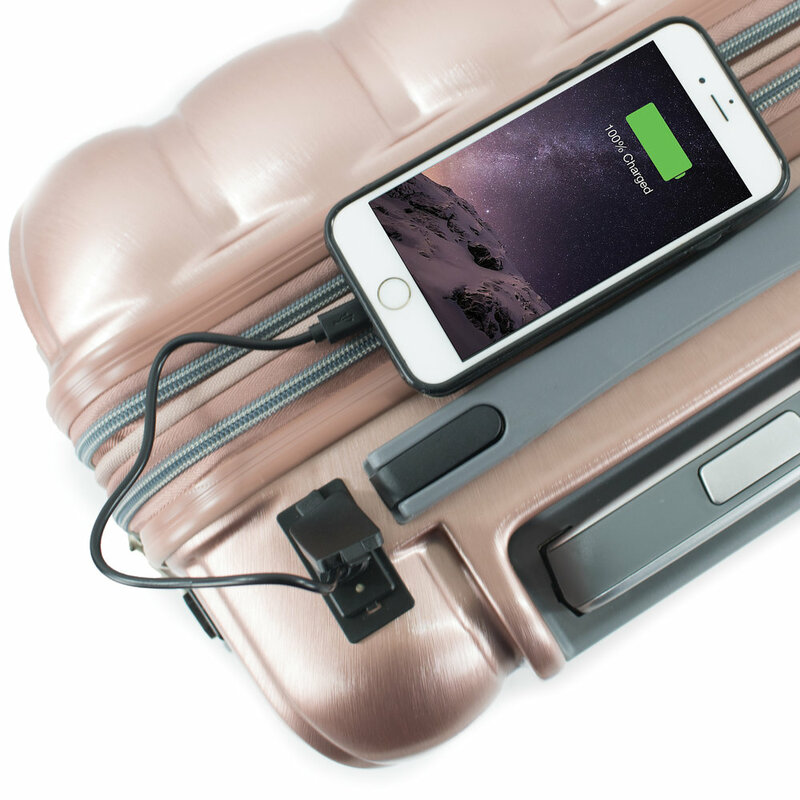 The 20" carry-on size has two convenient USB ports to charge electronic devices (battery not included). An adapter is included for easy connection from the user's battery to USB ports. The PK088 includes TSA combination locks that sit flush along the sides. Combinations can be reset and customized per user preference. A double layer of zipper teeth prevent punctures from sharp objects such as pens, paper clips, etc. to deter theft. Spinner wheels allow 360° maneuvering. Coupled with durable composition, the wheels easily roll over obstacles and reduce impact.